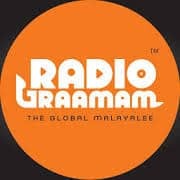 Radio Graamam Malayalam Listen Online . Listen 70 Malayalam radio stations online . Radio Graamam is a different kind of radio. It is online, in an intimate, ‘bringing-together’ way. ‘Graamam’ is originally meant as a closely-knitted group or circle and later evolved into the meaning ‘village’.